I was the first one to reached the store and was welcomed by Ryan Ho himself! 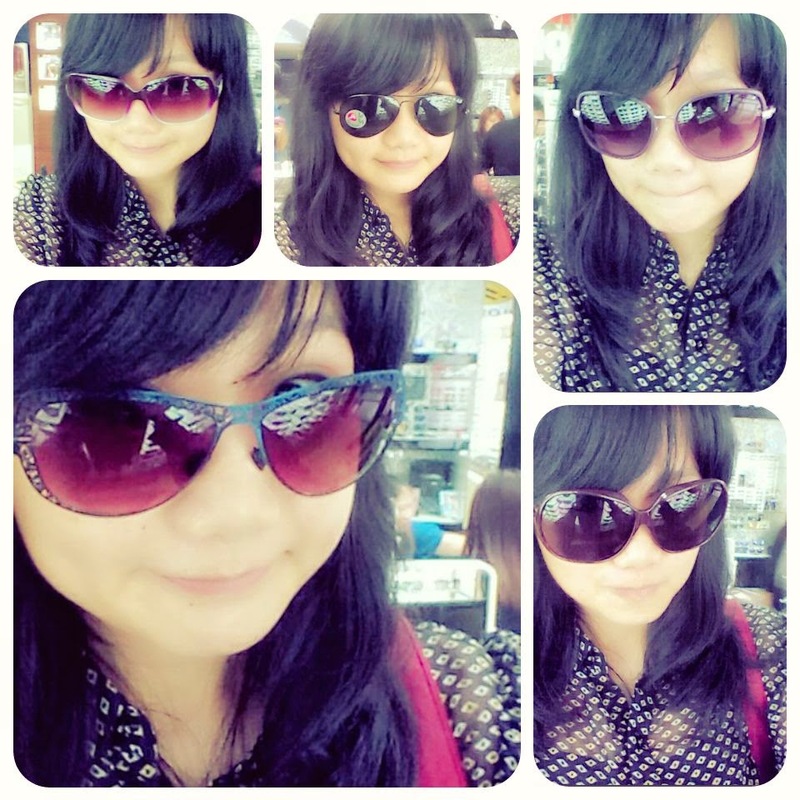 Let me give you a brief introduction to Malaya Optical. 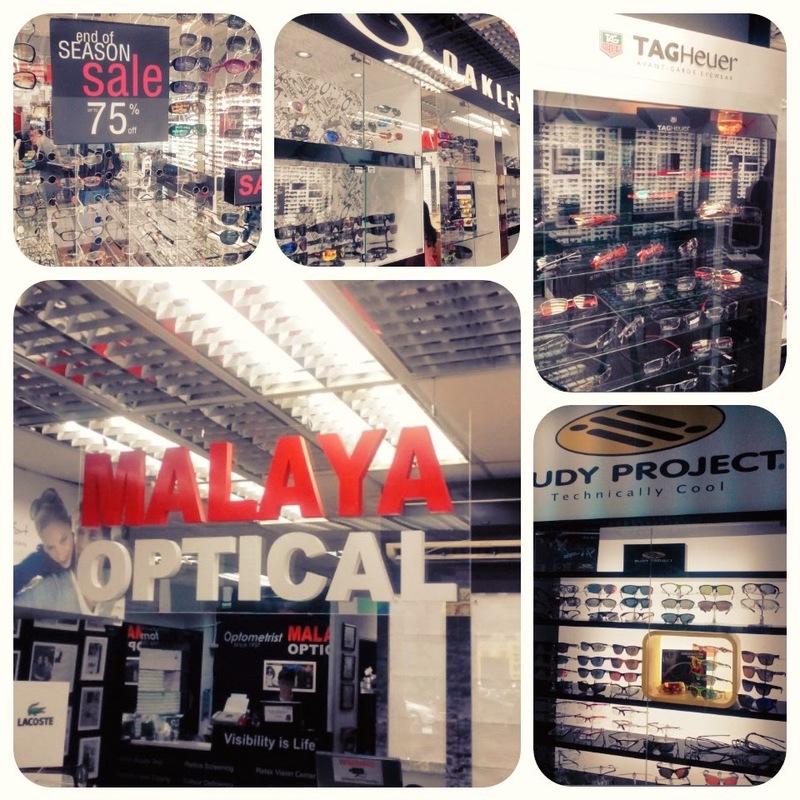 Malaya Optical was founded in 1957 and it is already a household name. Ho Kai, the pioneer and founder of Malaya Optical emigrated to the Malay Peninsular in 1922 and started Malaya Optical at Jalan H.S. Lee in 1957. 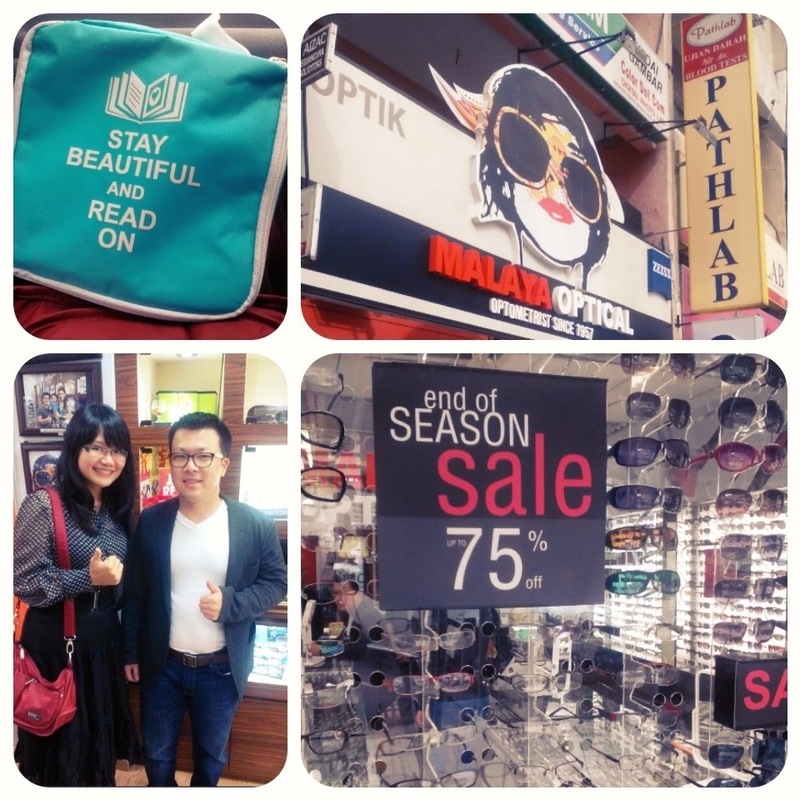 Malaya Optical has been a familiar household brand since the fifties with a huge database of patients. 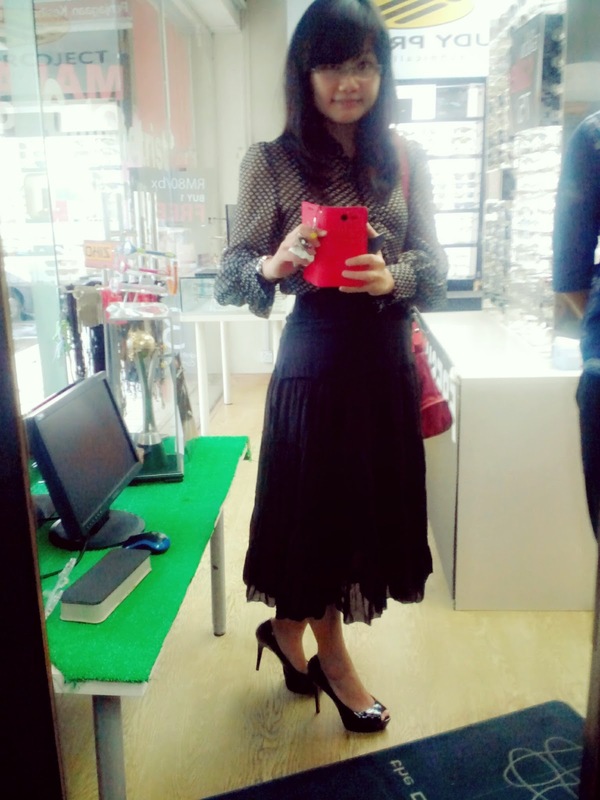 I was also overwhelmed with the series of eyewear once I entered the store. The store is not really large but every corner of the store has different eyewear. You have designer eyewear from Ray Ban, Paris Hilton, Gucci, Armani, Dior and many more. There also also hard to find brands like Swissflex, Wolfgang, Blackfin, Victor Rolf, Evisu and others. Firstly I need to apologize for the lack in photos since I brought my camera without the SD card in it and secondly I have no idea where are some of the photos that I took with my phone that day. 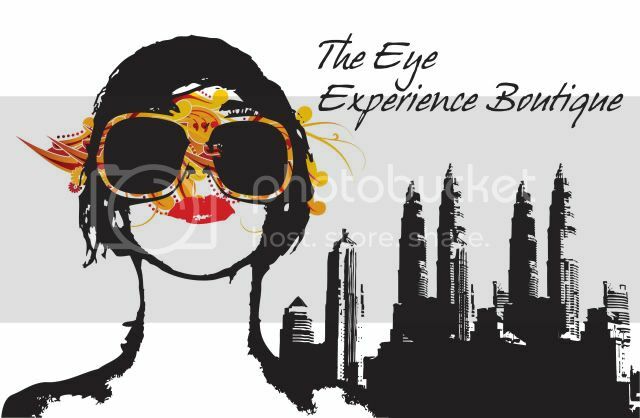 But don't fret, you can always check out their website Malaya Optical to check out their eyewear range. 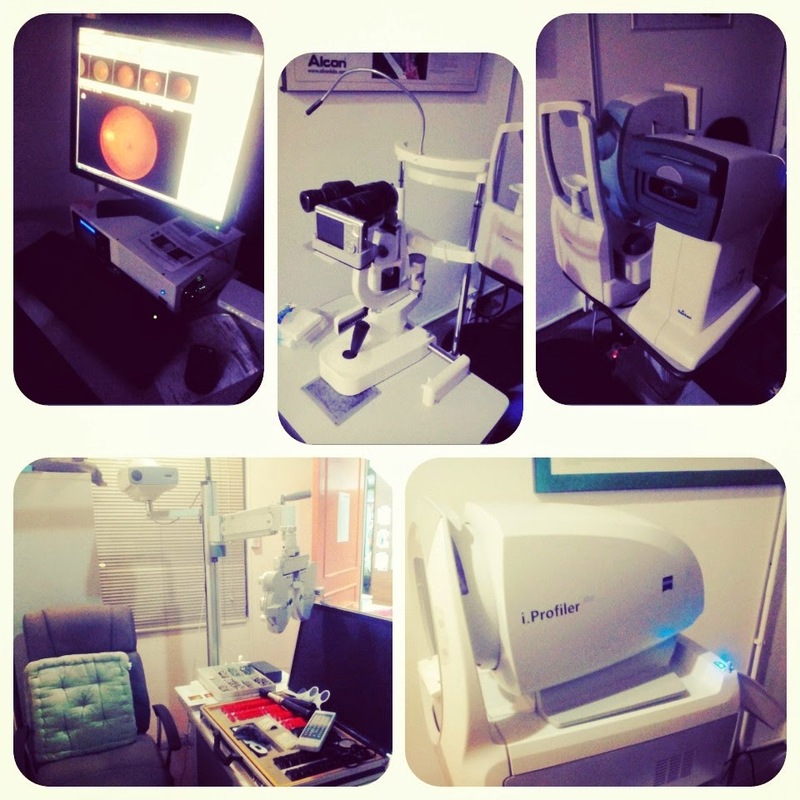 At Malaya Optical, they have several high-tech equipments to check your eyes accurately. Do you know that they also have a machine that can measure the power of your eyes more accurately than at other shops? In the dark, pupils dilate more which gives better accuracy to measure the power of your eyes. Your pupils should dilate more than 5 mm and the machine at Malaya Optical can measure until 6.3 mm (for me) which means you can get a accurate measurement of your eye power. They also have other machines that can check the pressure on your eyes when you are wearing contact lenses, check if there is blood clot in your eyes which can cause blindness. The Digital Retinal Imaging is able to screen for retinal problems such as macular degeneration, retinal holes or detachment, or even systemic diseases such as diabetes and hypertension. Meanwhile the IntraOcular Pressure can determine the flued pressure inside the eye and the Sit Lamp is for contact lens fitting, corneal health assessment and many more. Malaya Optical also has several contacts to refer you if you need to see an eye specialist. You can get more information here. They have basic prescription lenses and also progressive lenses so you if you have problems like Myopia (Shortsighted), Hyperopia (Longsighted), Presbyopia (Reading problems) their optometrist can help solve your problems. Malaya Optical also carries a range of contact lenses and for those who are just starting to wear contact lenses, you can drop by Malaya Optical for Fitting and Assessment. Malaya Optical's staff are able to give you advice especially for clients with dry eyes, discomfort and to get proper fitting of contact lenses. Some of the contact lenses that they carry are Soft and Rigid Gas Permeable lenses. They also carry many variety of Color contact lenses from Fresh Look Colorblend or Colourvue.